Our Gloucester-based client commissioned us to design and build a new garage building to replace the existing pre-fabricated concrete structure on site. 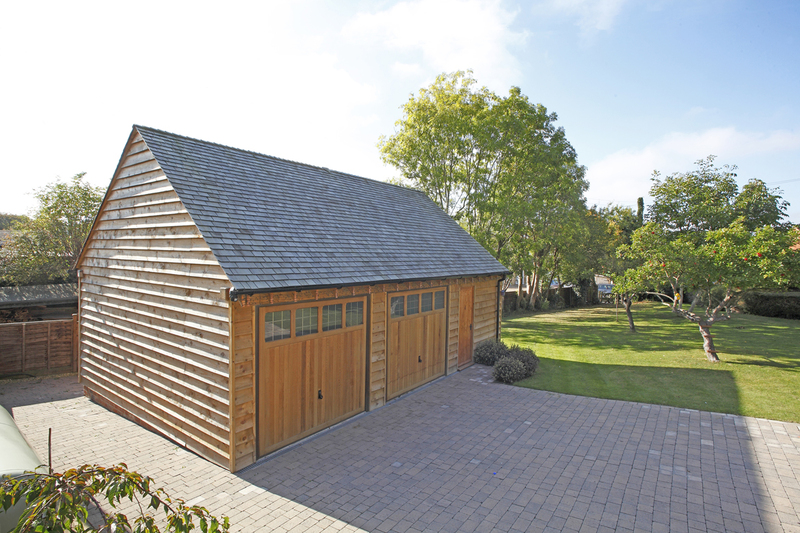 The main house is a character property and the client wanted the new garage to reflect this, whilst making the most of the semi-rural countryside aspect. We provided concept designs for the client's consideration, and then transferred these into a full planning application which was promptly approved. We dealt with the demolition of the existing garage building and provided new footings and insulated slab ready for the new structure. 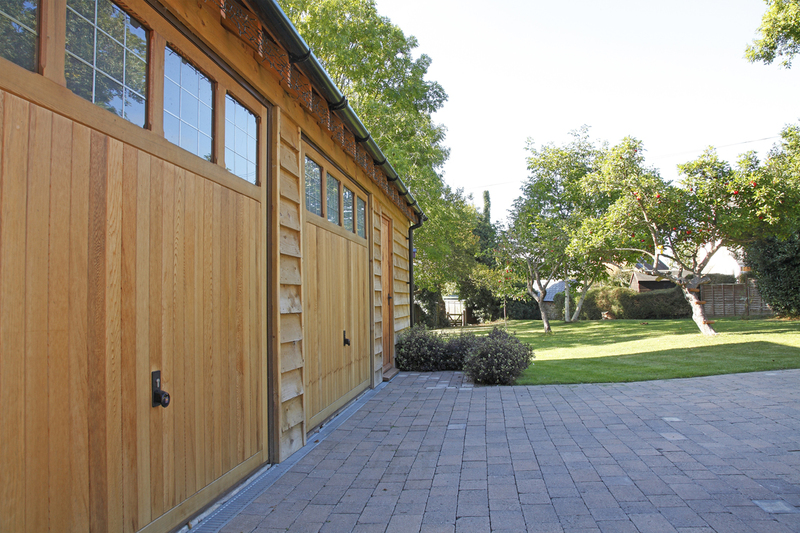 The new garage was built around a traditionally pegged Oak structure. The left hand side and central bays are used for parking. 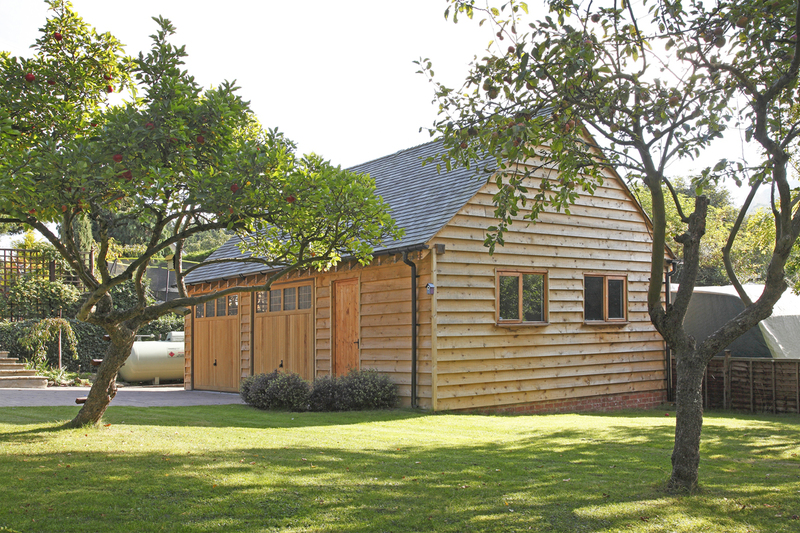 The right hand bay was built as an office/studio with windows to the side elevation. A loft floor and access was installed to allow storage throughout the entire roof-space. 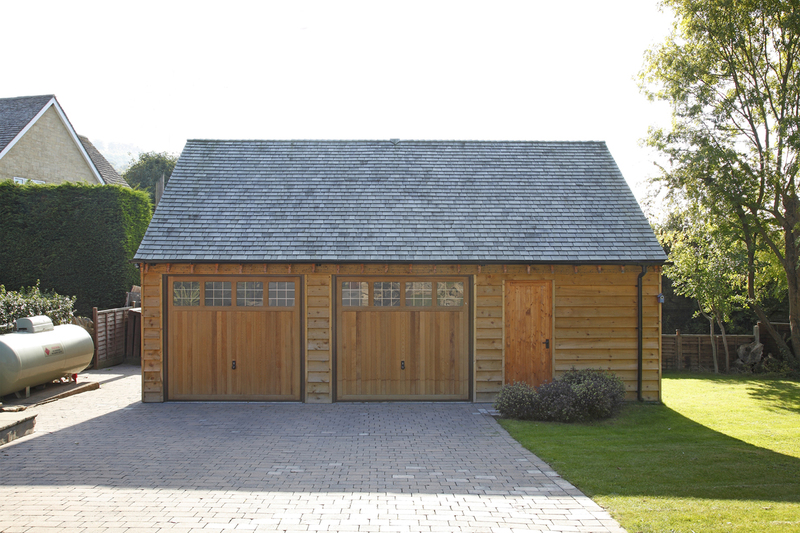 Vertically clad cedar garage doors were specified, containing leaded glazing detail. The building was clad using pressure-treated softwood. As the photos show, this has weathered to a perfect finish without requiring ongoing treatment. 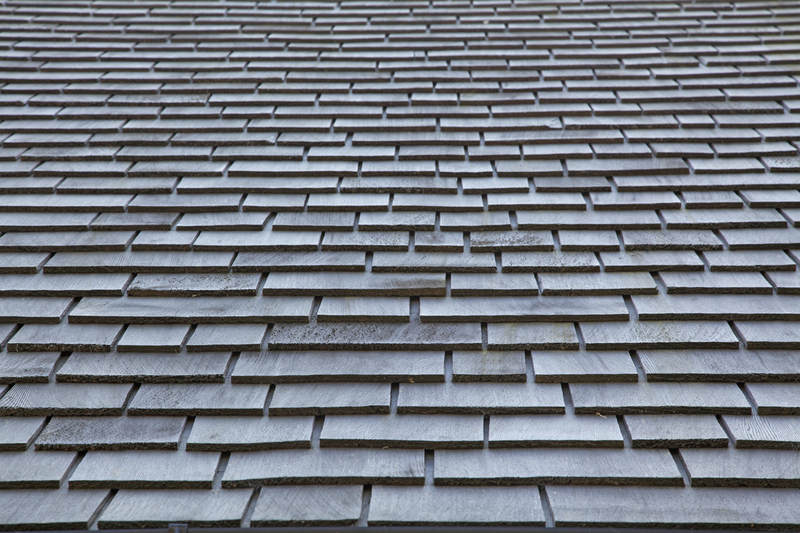 Cedar roof shingles were used to create a natural and weathered roof surface, with particular attention paid to interesting ridge detailing.